Business as usual. That’s the mantra as Te Edwards prepares for his UFC debut against fellow newcomer Don Madge on October 27. Same hard work, same camp, same mental approach. It’s just another fight. But it isn’t. This is the big show, the place all fighters want to be, and making a mark in the Octagon can change everything. Don’t tell Edwards that because it is just another fight for him, just like all the others were. If the 28-year-old lightweight prospect sounds a lot cooler under pressure than most UFC debutants, it’s because he is. 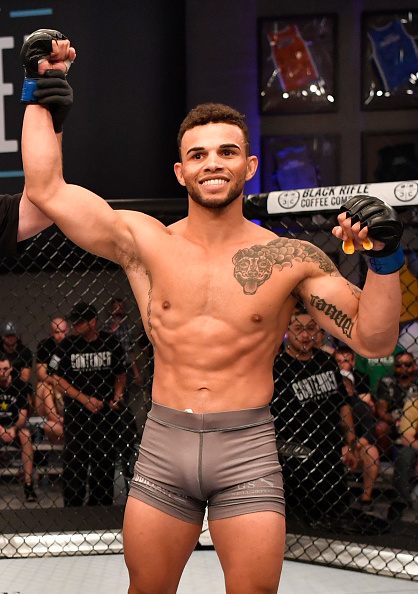 In June, there was plenty of pressure on his shoulders when he faced Austin Tweedy in a Dana White’s Tuesday Night Contender Series bout. Win impressively and he may get a UFC contract. Lose or win in pedestrian fashion and it’s back to the regional circuit. Edwards won. Impressively. In 28 seconds. He got the contract. The knockout of Tweedy was his sixth first-round KO in as many wins against only one loss in 2014. 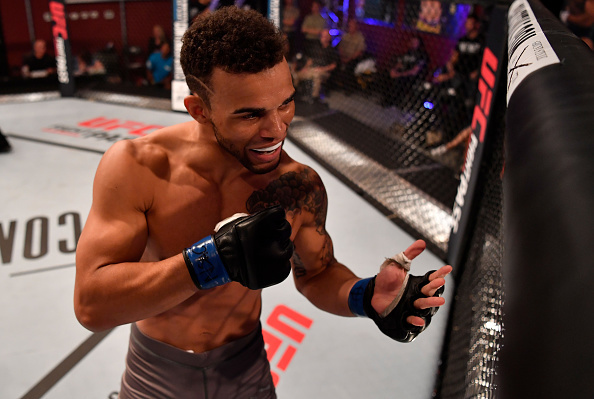 He’s won five in a row leading up to his bout in Moncton later this month, and he owes his success to an uncanny ability to read an opponent within seconds on fight night. So there are no deep dives on YouTube for footage or scouring the internet for nuggets of info on his opponent. He’ll leave the game planning to John Crouch and company at the MMA Lab in Arizona and the rest he’ll figure out on his own when the Octagon door shuts. And then it usually ends early. That’s a great gift to have, but Edwards admits it may not always be. But if the knockout doesn’t come early, an opponent can peck away and peck away and steal a fight. Edwards knows that this is a possibility, but he also knows that if there’s time on the clock, he can change everything. A lot of Edwards’ calm and confidence doesn’t come from his work in the gym or his natural gifts. It comes from a military background that includes three years in the U.S. Army and a current stint in the U.S. Air Force Reserves. Easy for the guy with four knockouts under 90 seconds to say. Edwards is excited about making the walk to the Octagon for the first time, though. And that walk is almost here.